Ahead of the COP 24 climate summit in Poland next month, top United Nations officials are again trying to raise the pressure on governments to meet the pledge of limiting warming to the less than two degrees Celsius, enshrined in the 2015 Paris accord. 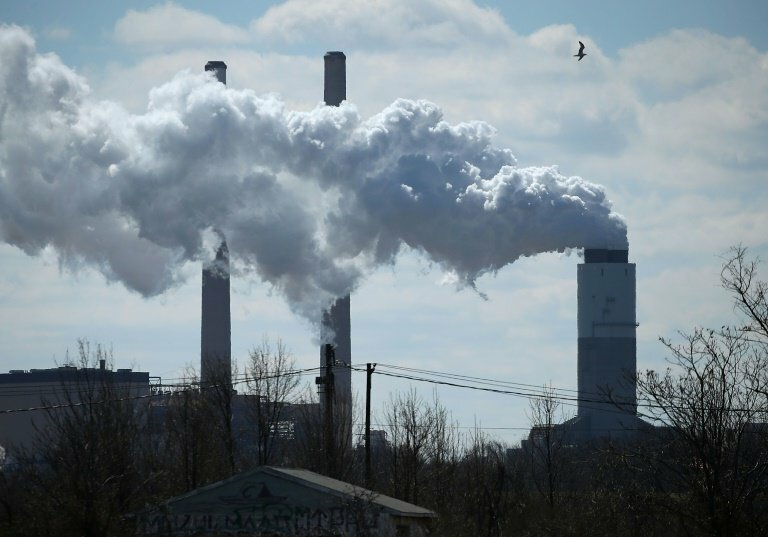 "Without rapid cuts in CO2 and other greenhouse gases, climate change will have increasingly destructive and irreversible impacts on life on Earth," the head of the World Meteorological Organization Petteri Taalas said in a statement. "The window of opportunity for action is almost closed." In an open letter to all states ahead of COP24, UN rights chief Michelle Bachelet warned of cataclysmic consequences if the world does not reverse course. "Entire nations, ecosystems, peoples and ways of life could simply cease to exist," she said, citing evidence that nations are not on track to meet the commitments made in Paris. US President Donald Trump, who pulled his government out of the Paris agreement, again on Thursday appeared to cast doubt on climate science. "Brutal and Extended Cold Blast could shatter ALL RECORDS - Whatever happened to Global Warming?" he said in a tweet. Asked to respond to Trump, deputy WMO chief Elena Manaenkova told reporters that the science underpinning global warming was "unequivocal," without challenging the US leader directly. 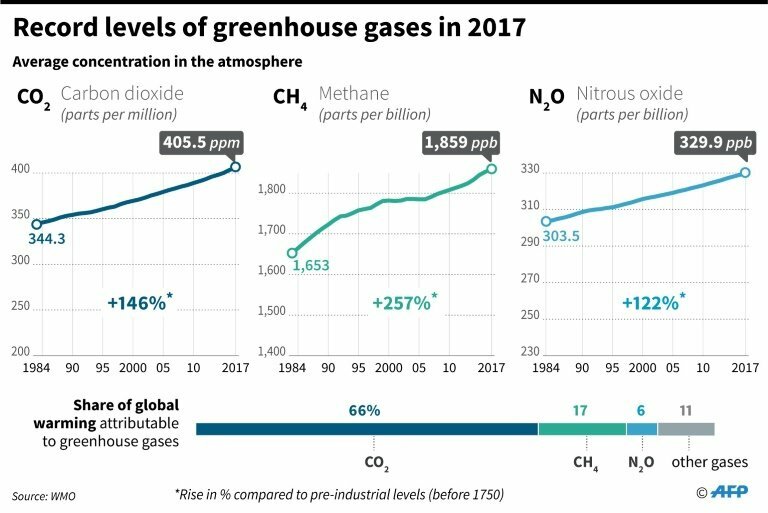 The Greenhouse Gas Bulletin, the UN weather agency's annual flagship report, tracks the content of dangerous gases in the atmosphere since 1750. This year's report, which covers data for 2017, puts the concentration of CO2 in the atmosphere at 405.5 parts per million (ppm). That is up from 403.3 ppm in 2016 and 400.1 ppm in 2015. 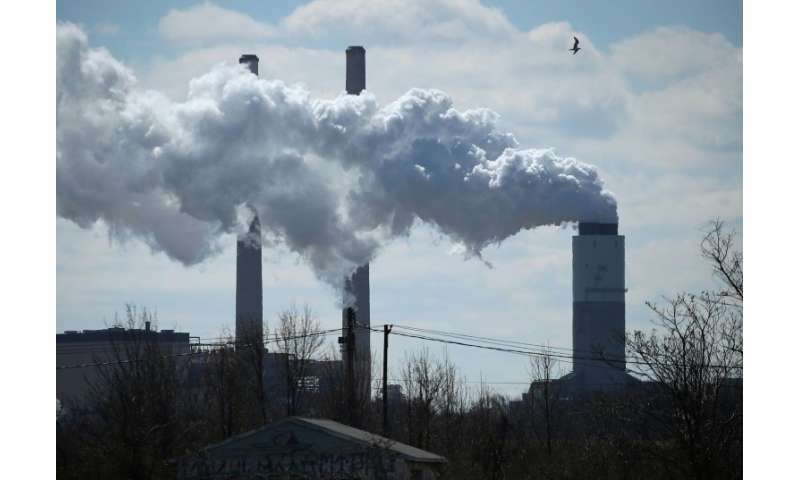 "The last time the Earth experienced a comparable concentration of CO2 was 3-5 million years ago, when the temperature was 2-3°C warmer," Taalas said. Researchers have made reliable estimates of C02 concentrations rates going back 800,000 years using air bubbles preserved in ice in Greenland and Antarctica. But by studying fossilised material the WMO also has rough CO2 estimates going back up to five million years. 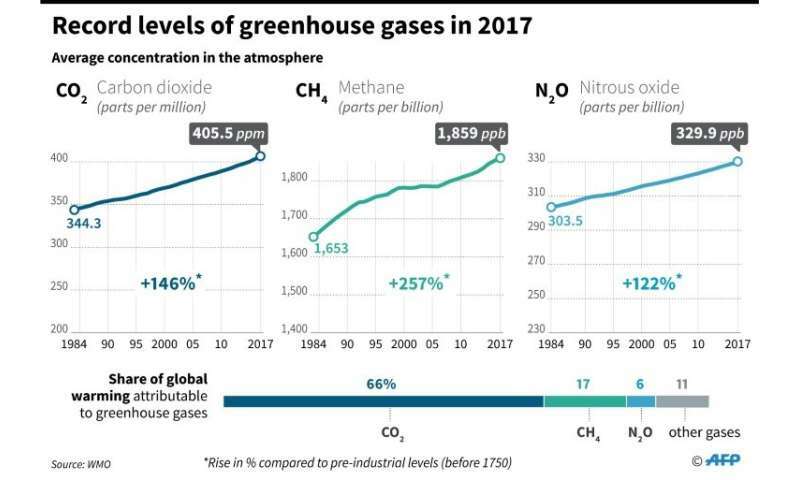 In addition to CO2, the UN agency also highlighted rising levels of methane, nitrous oxide and another powerful ozone depleting gas known as CFC-11. Emissions are the main factor that determines the amount of greenhouse gas levels, but concentration rates are a measure of what remains after a series of complex interactions between atmosphere, biosphere, lithosphere, cryosphere and the oceans. Roughly 25 percent of all emissions are currently absorbed by the oceans and biosphere—a term that accounts for all ecosystems on Earth. The lithosphere is the solid, outer part of the Earth, while the cyrosphere covers that part of the world covered by frozen water. The UN's Intergovernmental Panel on Climate Change (IPCC) has said that in order to keep warming below 1.5 degrees Celsius, net CO2 emissions must be at net zero, meaning the amount being pumped into the atmosphere must equal the amount being removed, either though natural absorbtion or technological innovation. WMO's deputy chief, Elena Manaenkova, noted that CO2 remains in the atmosphere and oceans for hundreds of years. "There is currently no magic wand to remove all the excess CO2 from the atmosphere," she said. "Every fraction of a degree of global warming matters, and so does every part per million of greenhouse gases," she said. According to the UN, 17 of the 18 hottest years on record have occurred since 2001, while the cost of climate-related disasters in 2017 topped $500 billion (439 billion euros).